Our customers from around the country weigh in on their experience with Tosten Marketing. 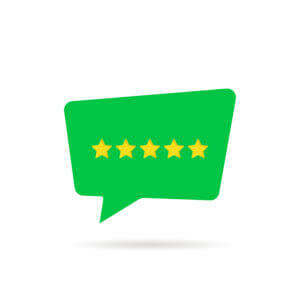 Below you will find customer testimonials highlighting their experiences. I couldn’t be happier that we switched to you guys! You’ve been much more helpful and open than our previous partner, and the changes and updates you have made based on our wants and needs have gone beyond what I was getting before. It really frustrates me about our previous partner, considering how expensive the website was. So thank you very much! Just a quick note, past 4-5 days we have been getting 1-2 leads from website. This is people who actually filled out the form, did the quote, sent to us. We called them, we sold 2 today. FIRST TIME EVER IN HISTORY we have sold a policy from our website from someone who filled out the form. Bloody awesome. Leslie Kay’s Inc began in 2000 based on hard work and determination we have grown to have multiple employees, and offer insurance for our top notch carriers in 48 states. As a small business we strive to work with like minded companies. To work with other small businesses that embrace the entrepreneurial spirit while striving to provide the best available service reasonably, personally, and efficiently. In the vast sea of companies that offer Website services we have found a true Diamond. Tosten Marketing is a shining example of what hard work and determination can grow into. Trustworthy, ethical, timely and straightforward in their offering of service and getting the job done right the first time. Taber Streur provides us with excellent service in a timely manner. Communicating the often complicated lingo of today’s technical world clearly and concisely. I strongly recommend the team at Tosten Marketing if you want seamless, hassle free customer service from a team that gets the job done right the first time. I just wanted to take a minute to say thank you for all the Tosten Marketing has done for our agency. I can honestly say that I am very skeptical about the claims that online / web marketing companies make about “front page placement” on Google, Yahoo etc… After paying for clicks and getting little to no return on our investment, I asked a friend for a referral to a credible company that I could work with, thus how I ended up at Tosten Marketing. I figured a one year commitment was worth the risk and it was reasonably priced. Whenever we receive a call for new business we track where that referral is coming from, I have to tell you we have been with your company for 4 months now and the past two months we have seen our phone calls from internet referrals skyrocket. We have NEVER had so many callers tell us that they found us on Google, Yahoo or Yelp; or on the internet prior to our partnership with your company. I want you to know I do not see anything that could possibly stop me from continuing our business partnership. The results have been FAR BEYOND my expectations and the ease of doing business with your company and getting everything started was simple. Thank you for all that you are doing to make A-Dependable Insurance Agency a successful online presence at a REASONABLE price! I have been with 4 different SEO. I really thought the more you spend the better results you got and I was wrong. You all were the best so it was a learning experience and I’m back. You are getting more results for me than HIBU, Dex, and another company combined. I wanted to officially thank you for your outstanding work with our agency. Since coming onboard with all your direct and authentic ideas, I have seen an increase in my line of business. Not only have I received more contacts but actually had other agencies approach me to ask who our marketing company is. Your savvy thinking has reached a broader audience due to your expertise from traffic-generating posts to our online presence. Thank you again for being part of our success! Tosten has really helped us bring our internet presence to the next level. We had an SEO company we were working with but they never really were able to get us the first page ranking they assured us of. Within three months of signing up with Tosten we saw our organic traffic go way up from where it was. Tosten has followed through with every promise and helped to get us away from chasing down internet lead sources. In fact, shortly after signing up with Tosten we cut off our internet lead program that was running around $2,000 a month. I would say that is a very effective ROI. We partnered with Tosten Marketing in 2012 and we have been very pleased with the results. Our new website is fully optimized and that is the key to driving business our way. Tosten Marketing is a winner!